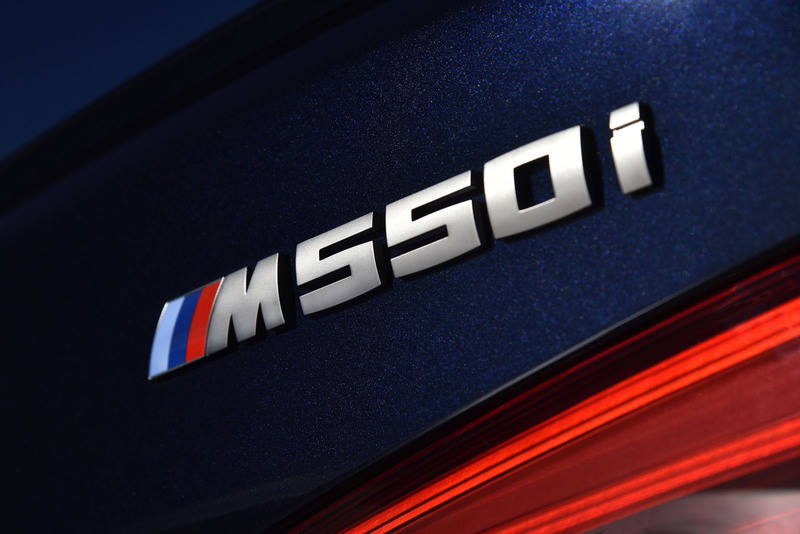 Can't wait for #BMW to come out with a new M5? 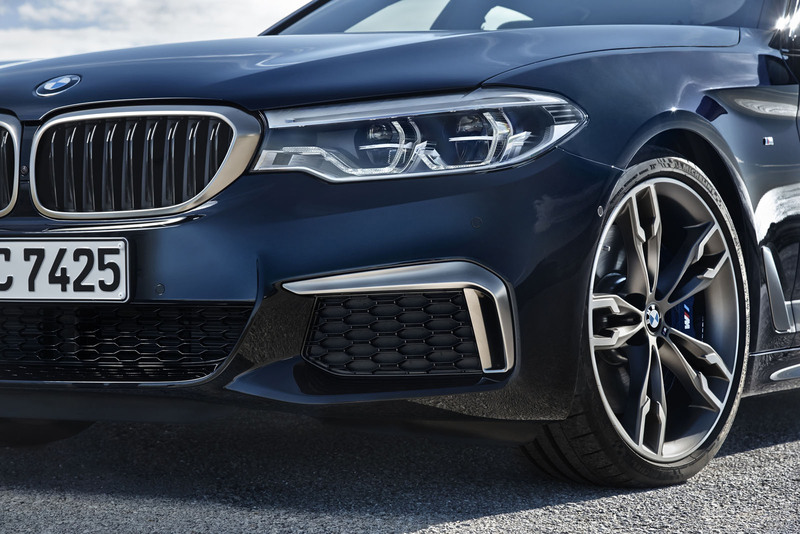 It may be a little while yet before it's ready, but in the meantime BMW has bridged the gap with the announcement of the new M550i #xDrive. 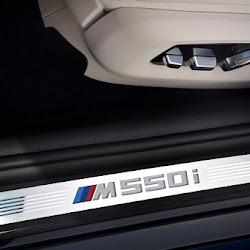 And the good news today is that it's coming to America. 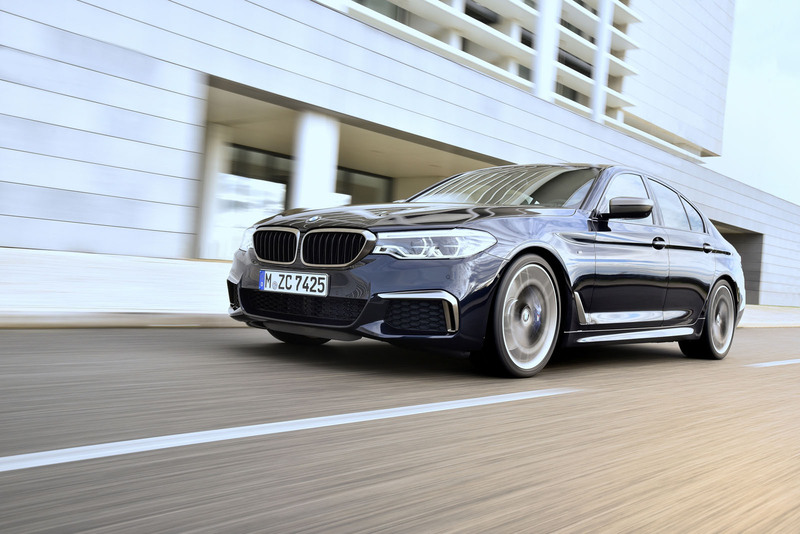 First announced two months ago, the M550i xDrive has now been confirmed to headline BMW's showcase at the upcoming Detroit Auto Show, and will arrive at US dealers in spring 2017. 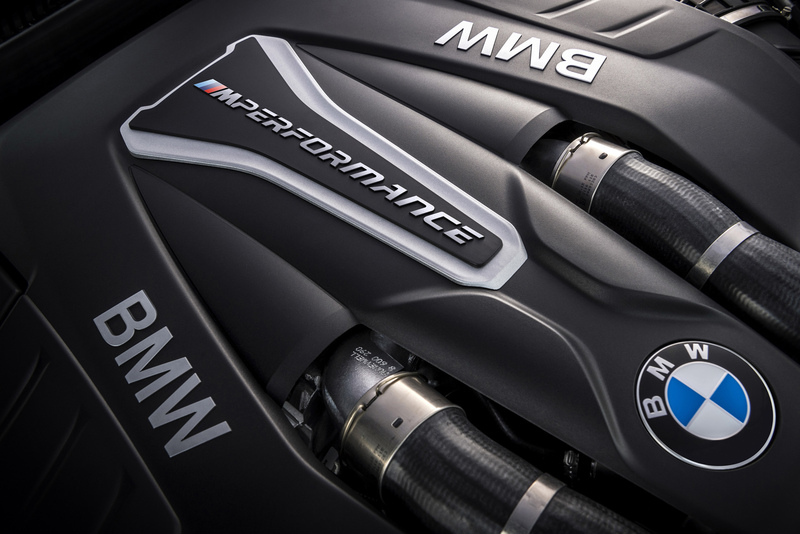 When it does, it will pack the performance capabilities to make up for lost time. 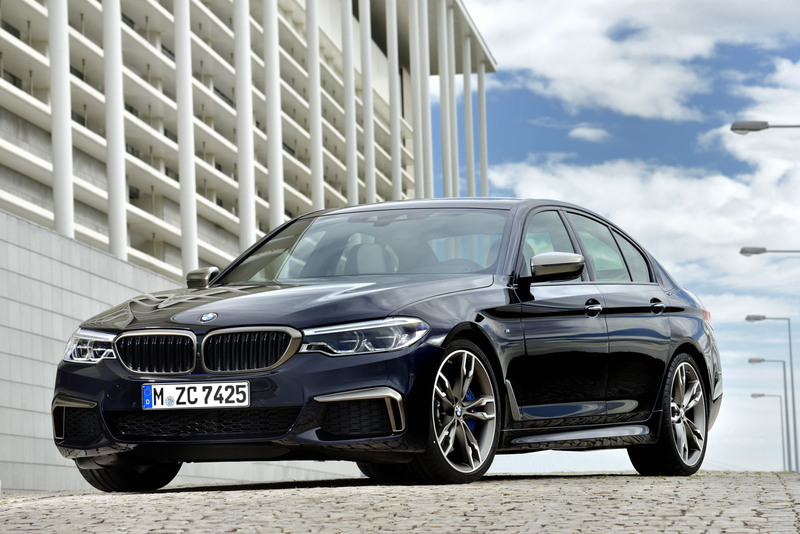 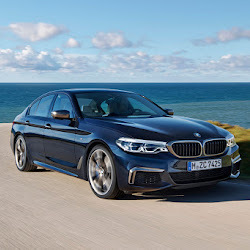 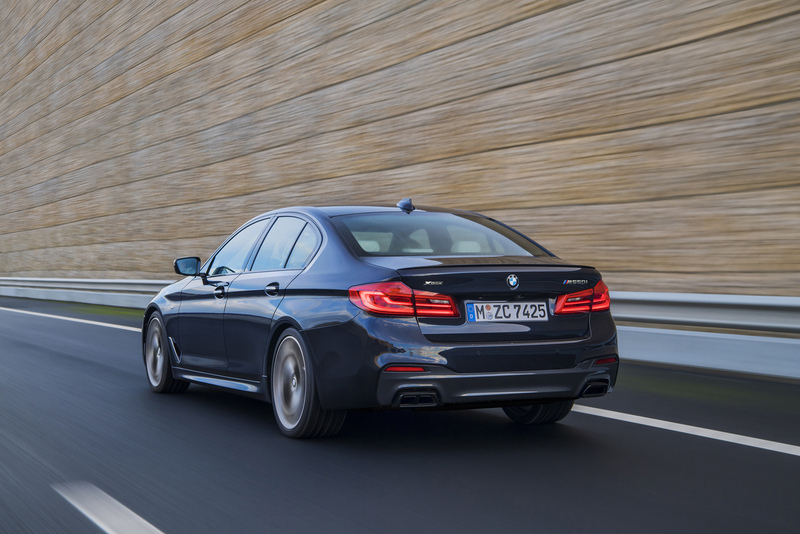 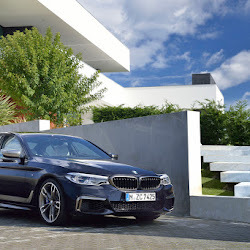 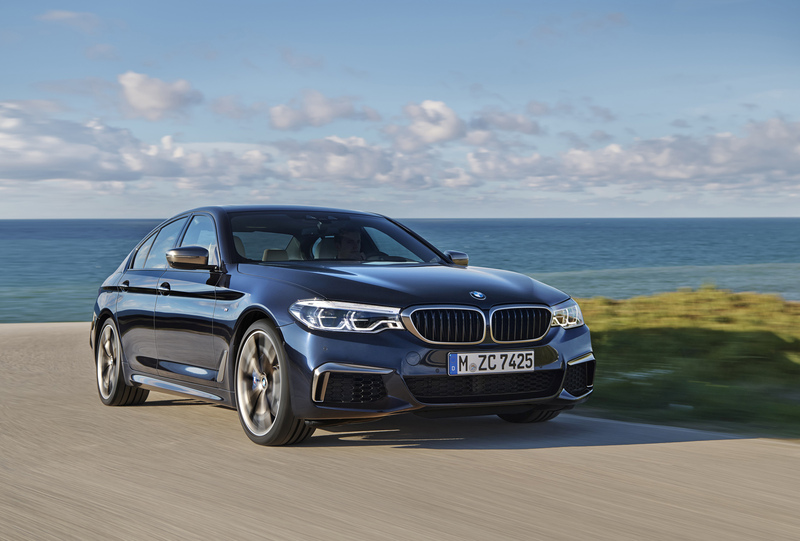 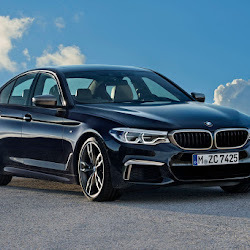 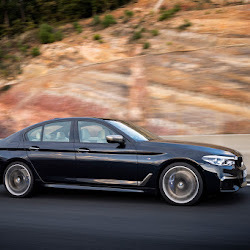 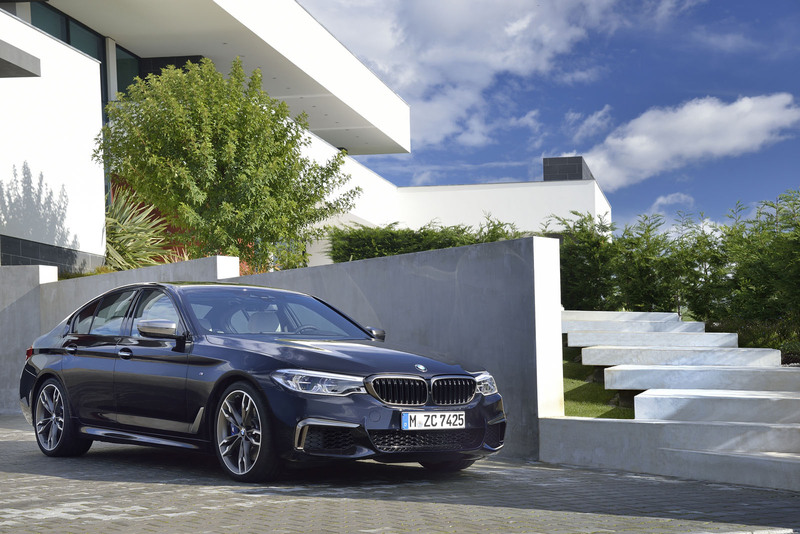 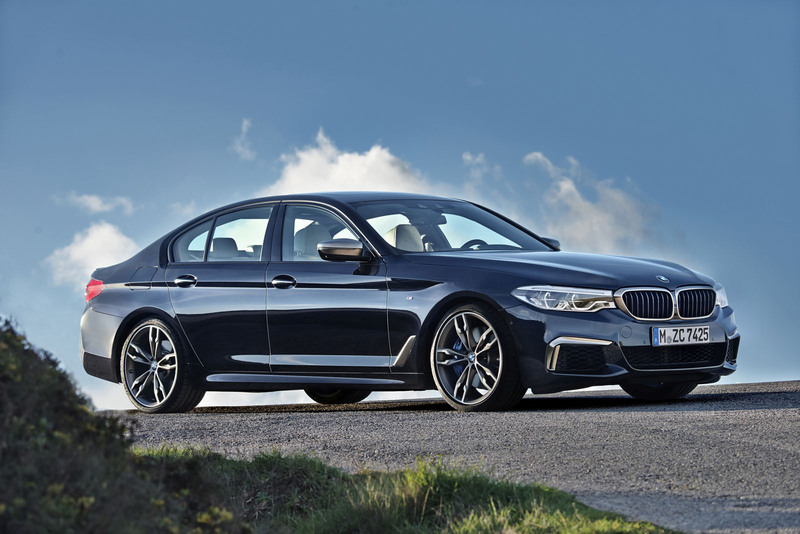 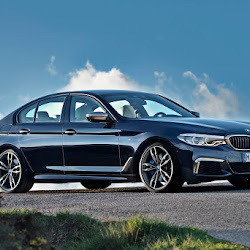 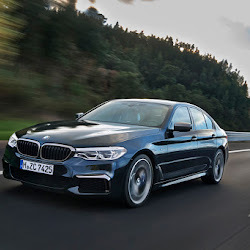 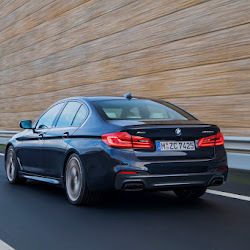 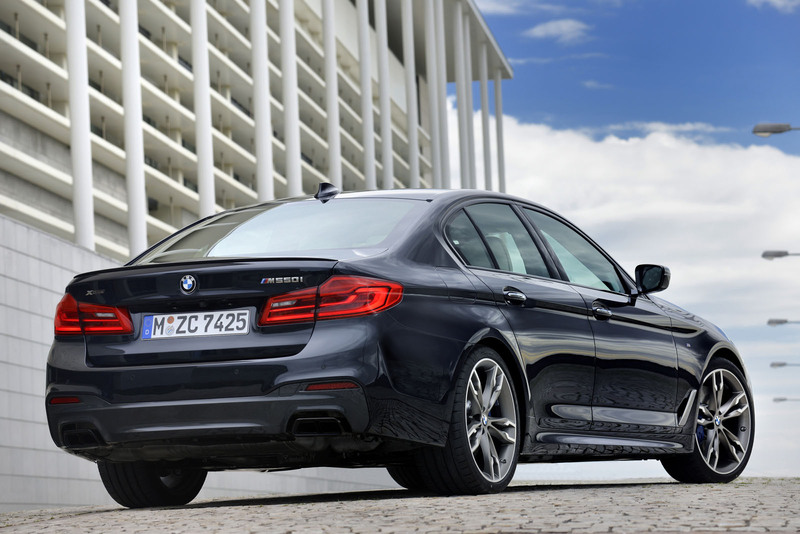 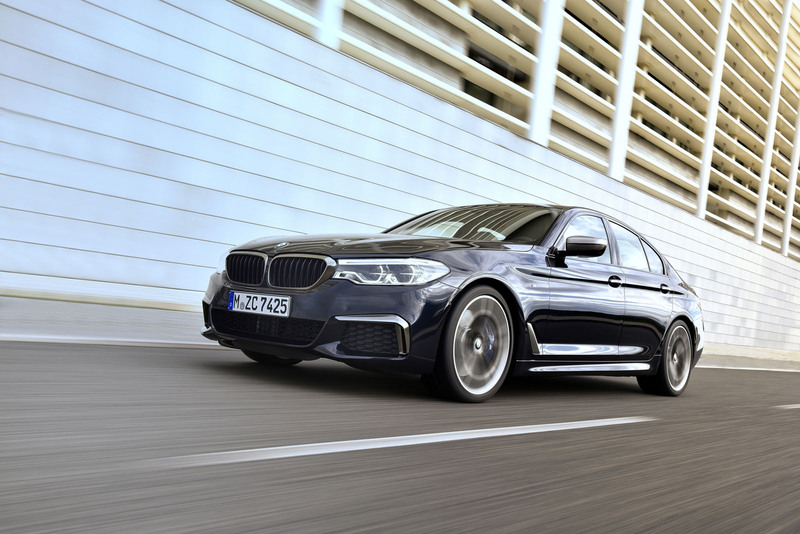 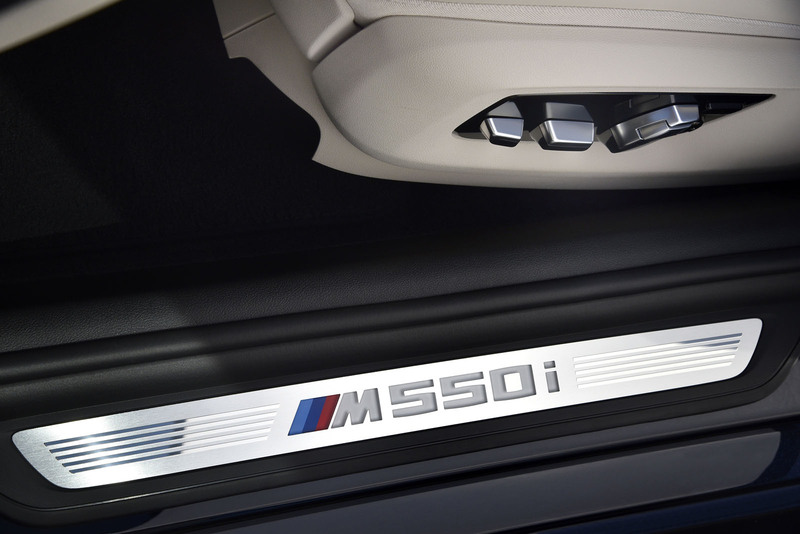 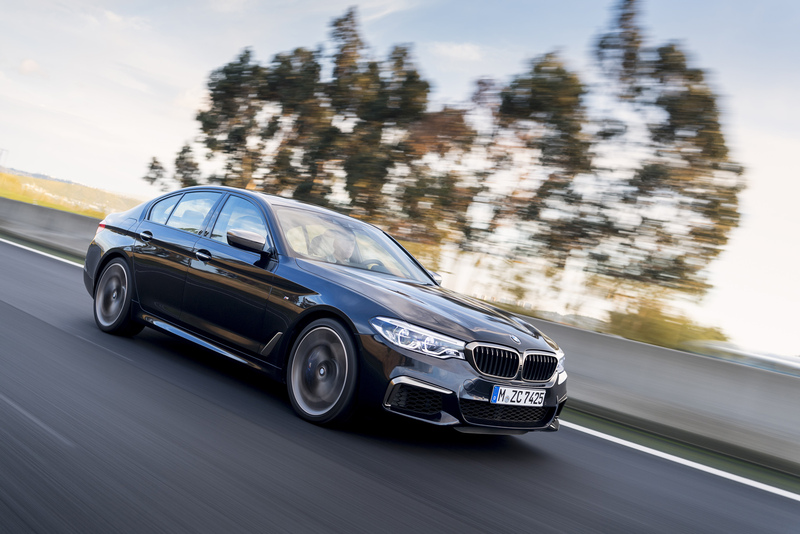 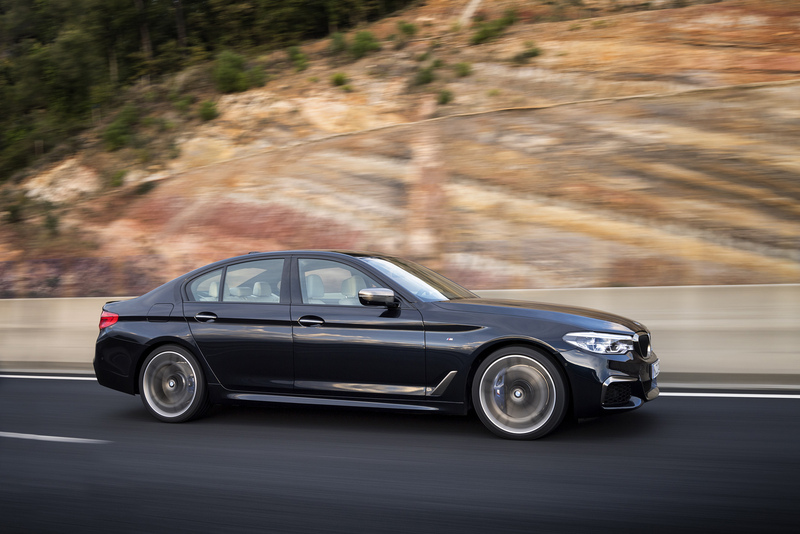 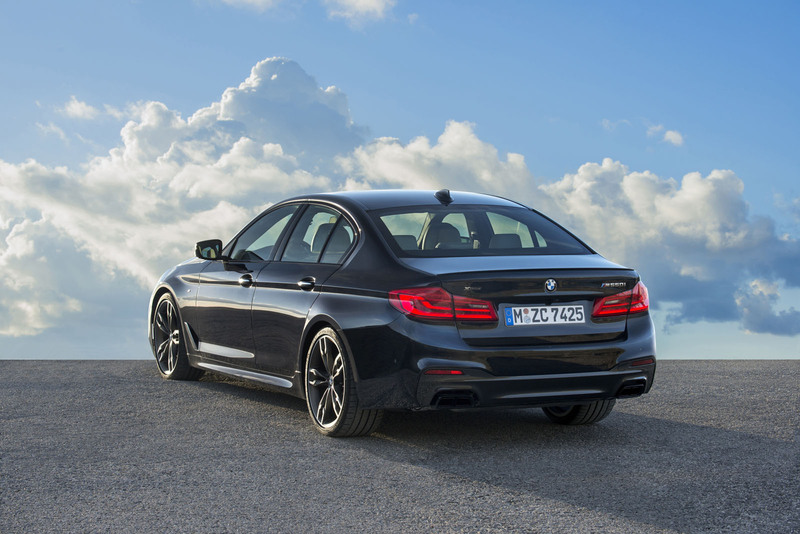 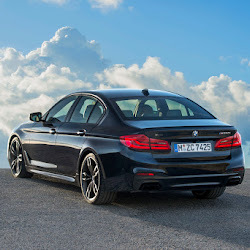 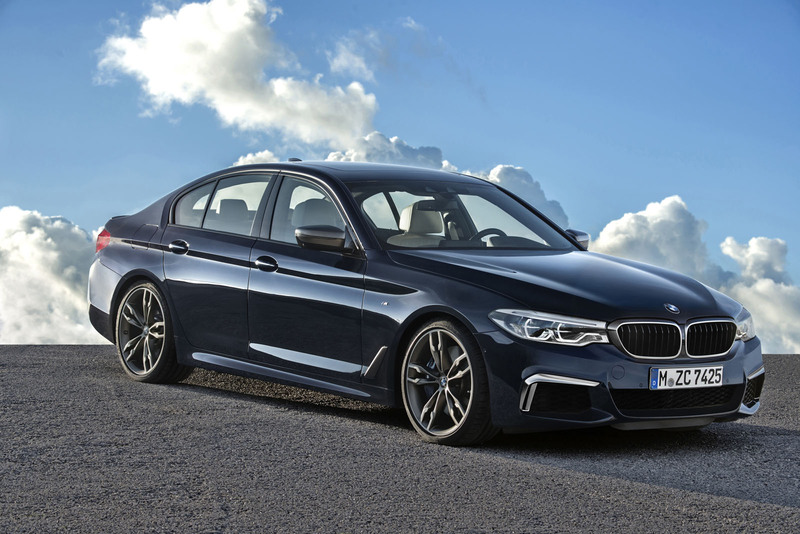 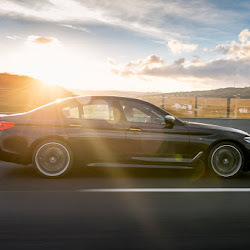 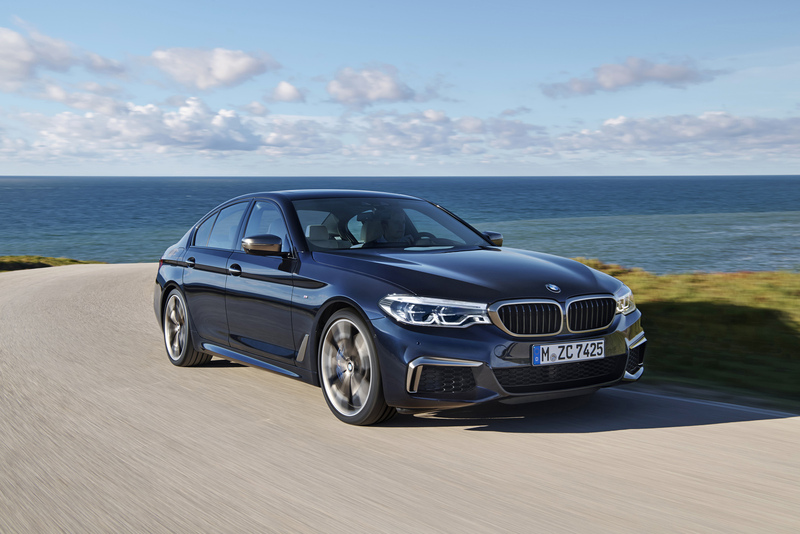 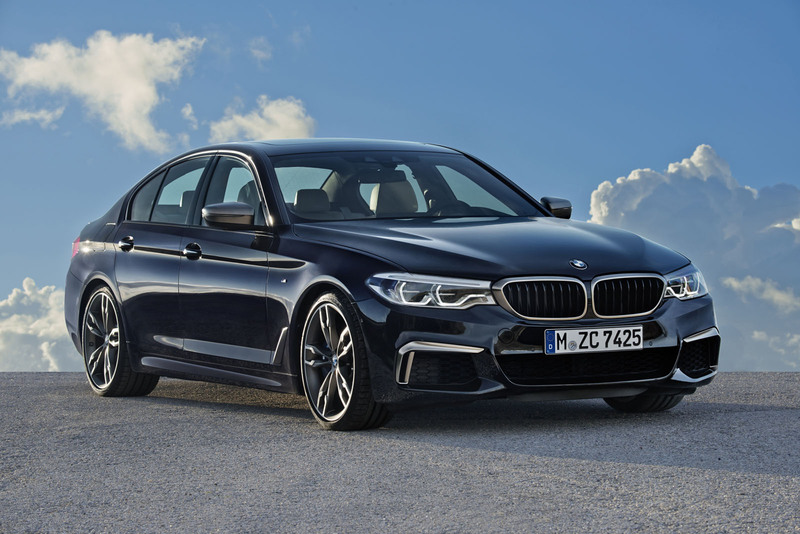 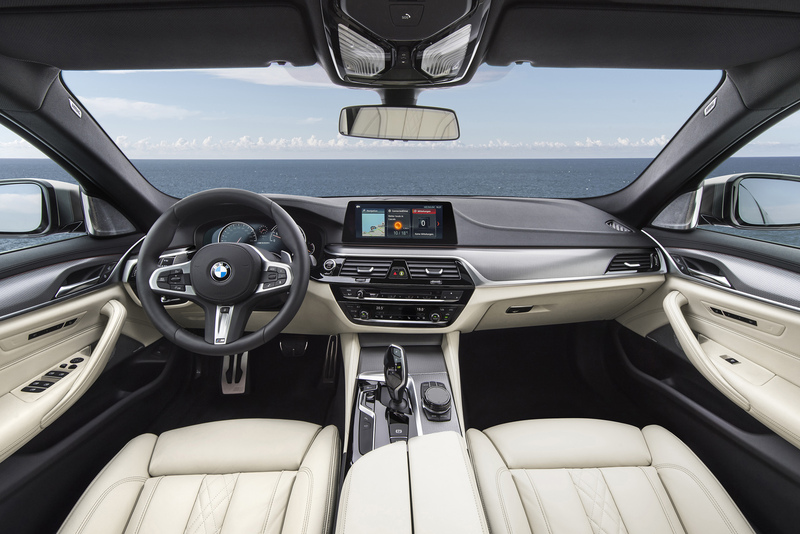 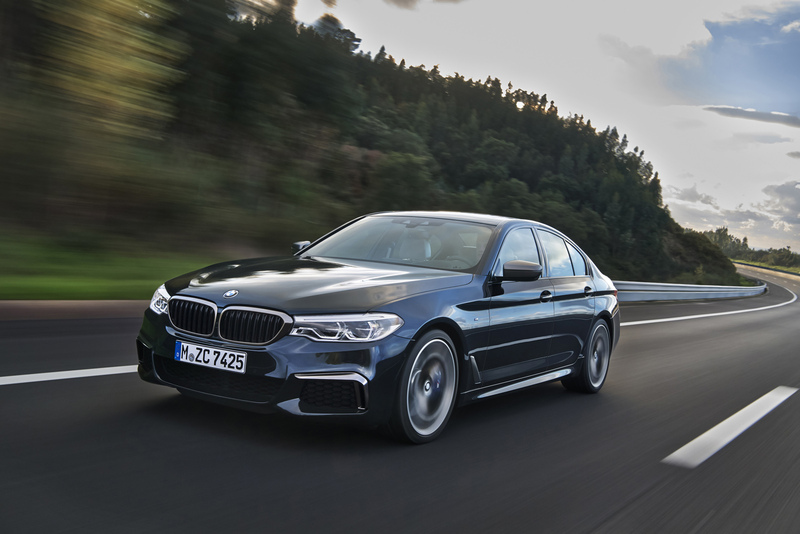 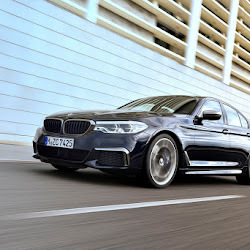 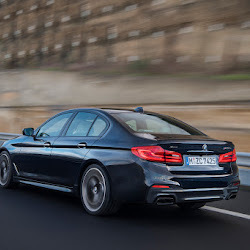 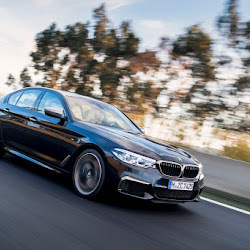 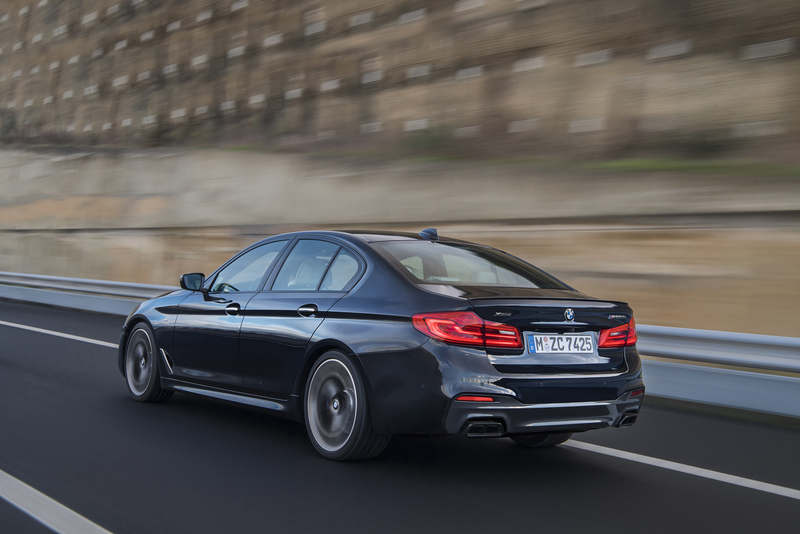 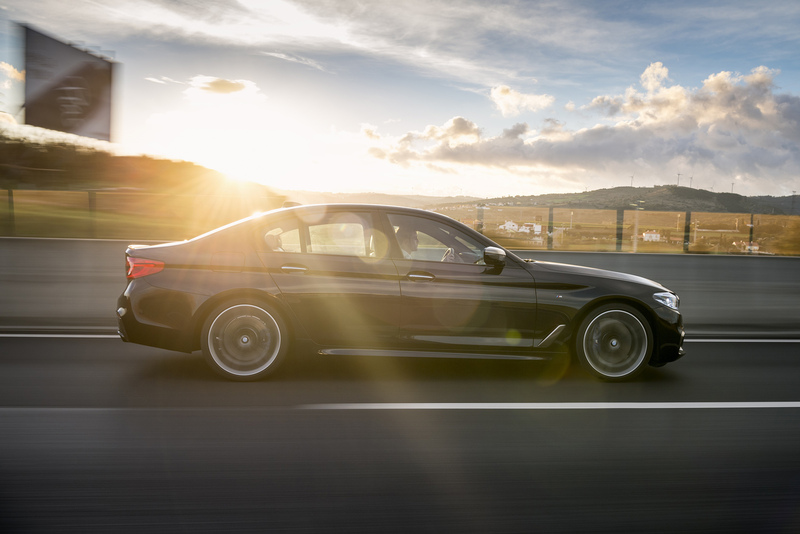 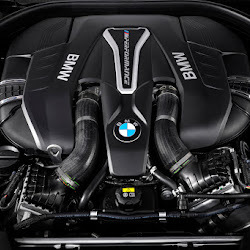 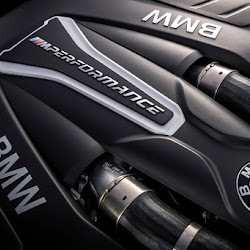 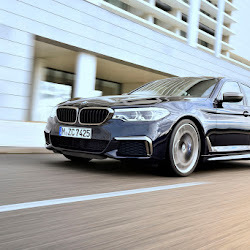 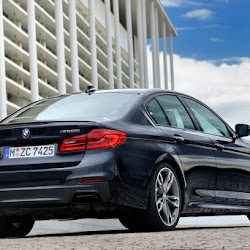 The first M Performance version of the 5 Series to launch in North America, the M550i packs a 4.4-liter twin-turbo V8, just like the outgoing M5. 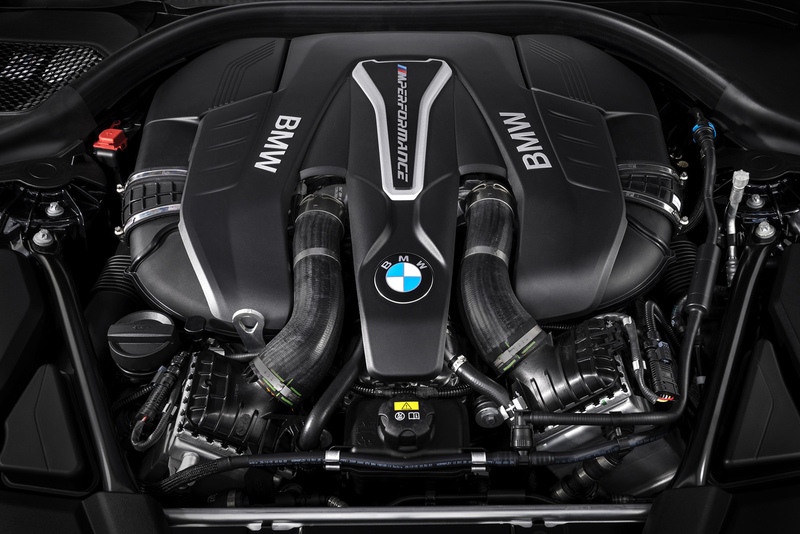 In this application, though, it's been detuned to deliver 456 horsepower and 480 lb-ft of torque. 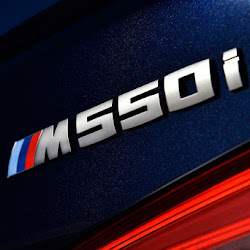 That's substantially less than the outgoing M5's 553 hp and 502 lb-ft (or the 600 hp and 516 lb-ft that came with the Competition package), but with rear-biased all-wheel drive, it's expected to rocket from 0-60 mph (0-96 km/h) in under four seconds en route to its electronically limited top speed of 155 mph (250 km/h). 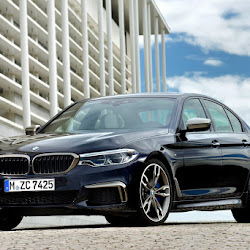 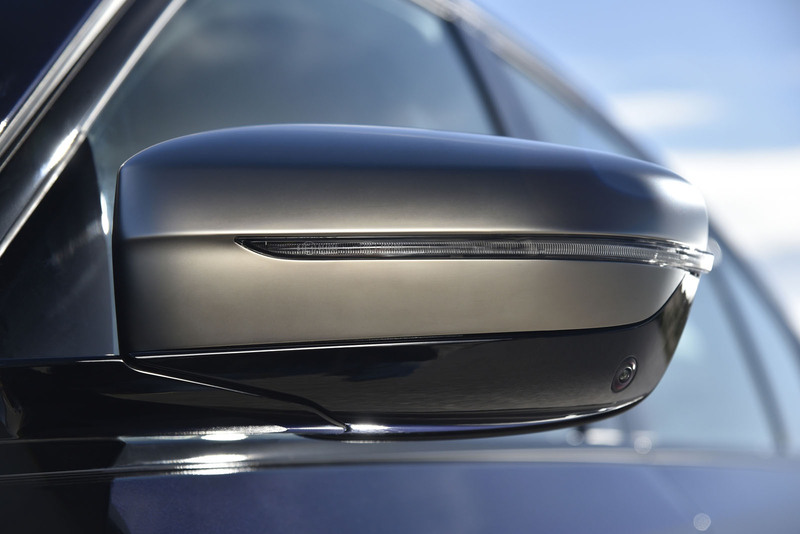 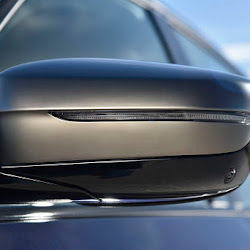 Add to that upgraded brakes, rolling stock, and aero, and an an adaptive suspension dropped by 10 millimeters, and you're looking at a substantially transformed performance sedan, with the traction to hustle along through varying conditions. 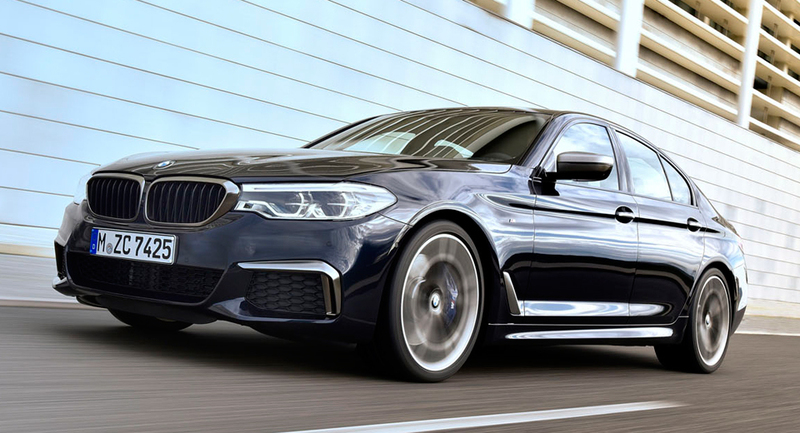 Pricing (as well as exact output and performance figures) won't be confirmed until closer to its market launch next spring. 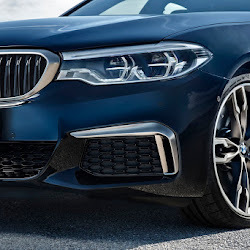 At that point, it will join the M240i, X4 M40i, and M760i (all similarly offering xDrive traction) in BMW's growing M Performance lineup. 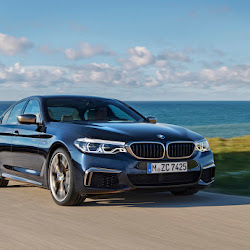 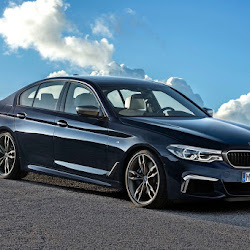 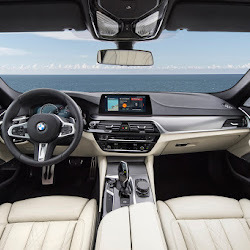 In the meantime, we can look forward to checking it out on the floor of the Cobo Center in a few weeks from now, when it will share the stage with other members of the new 5-Series family, including the new 530e iPerformance plug-in hybrid.